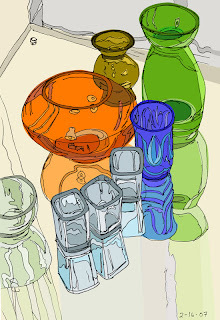 I like doing line drawings of glass an other objects. Here I've colored it in using Illustrator. I practiced with the Pen tool and learned about clipping masks in this exercise.